I’m sure you’ve heard the stories about hotels in Tokyo, Japan being little more than a roll-up mattress stuffed inside a shoe box. Heck, you might have even stayed in one. 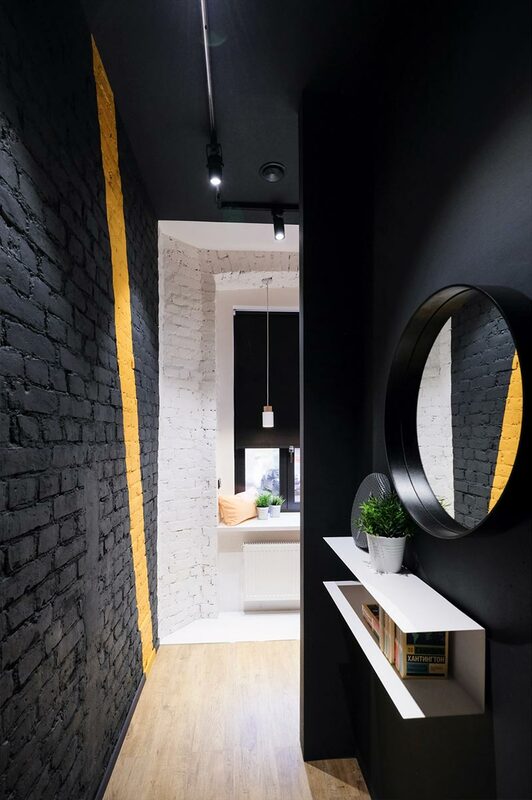 But I’m guessing you’ve never seen anything quite like this hotel in Saint Petersburg, Russia, which takes that concept and applies a thick coat of style and function. 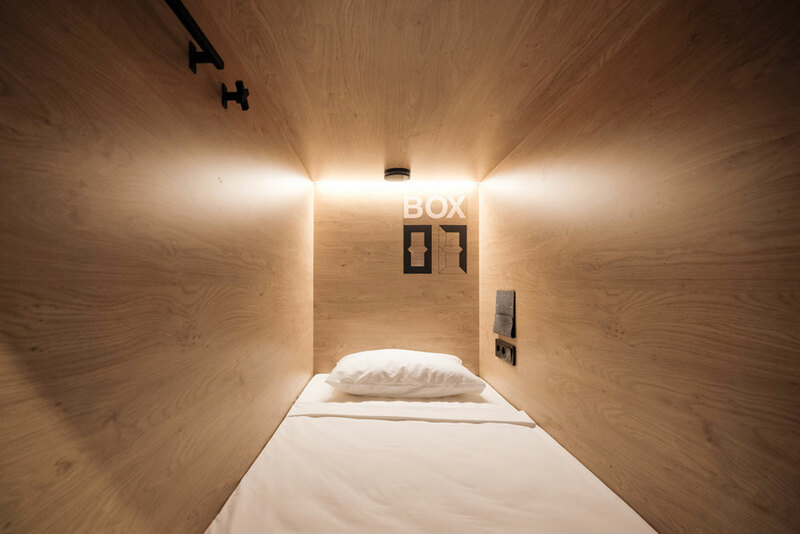 The InBox Capsule Hotel by DA Architects is an entirely new type of temporary housing, encouraging community while at the same time providing privacy and comfort in an entirely bizarre architectural package. 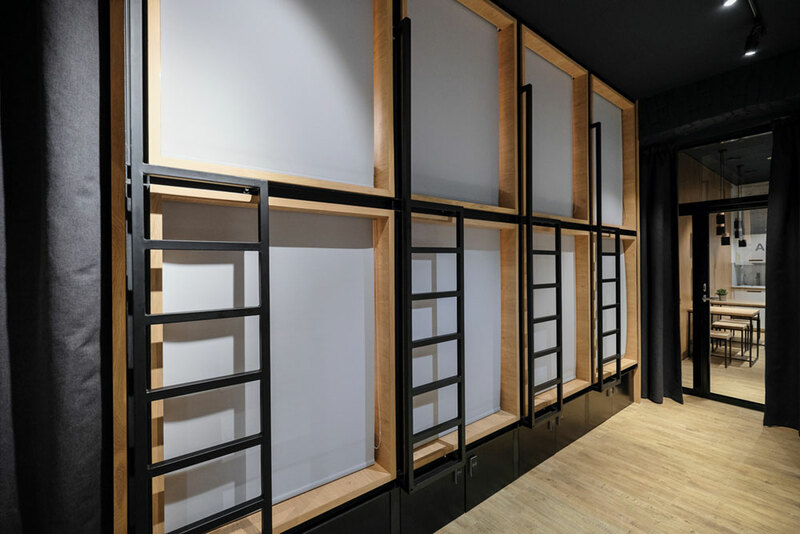 The “rooms,” if that’s what you’d like to call them, are little more than cube-like bunk beds that have been stacked and crammed into a linear room complete with a community workstation and spectacular city view. 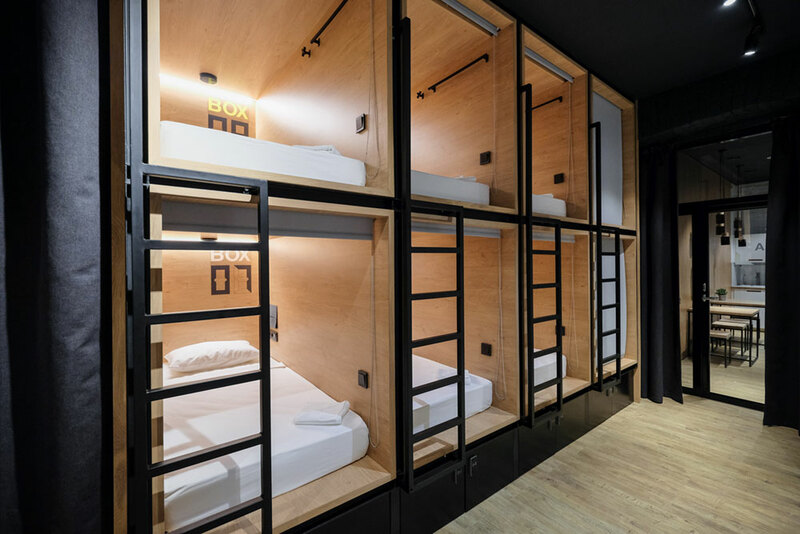 These pods can be completely closed up, offering patrons a little slice of privacy during their stay in this hostel on steroids. Finished plywood panels and a bit of clever lighting give the pods a visually appealing exclamation point that actually gives them the sensation of being quite comfortable. The rest of the hotel is completely open to the community of guests to use at their leisure. 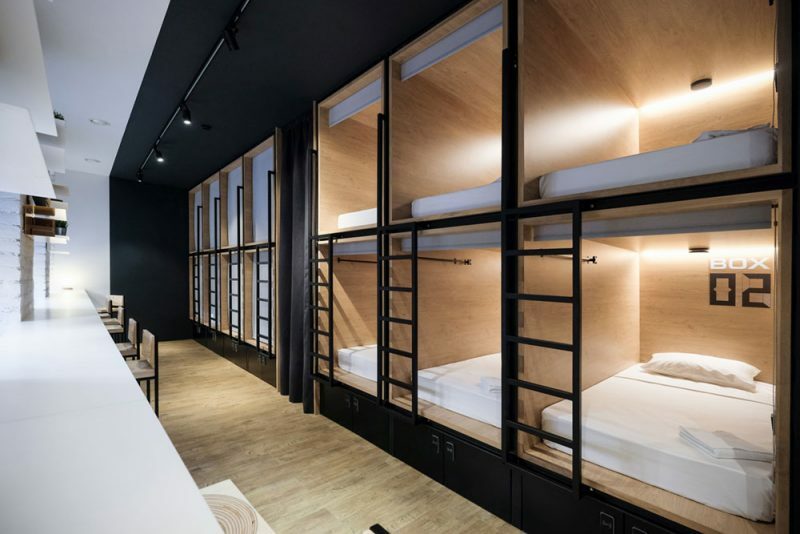 In Japan, these types of capsule hotels emerged as a necessity to the rapidly growing density of population. In Russia, the architects have adopted this typology of a case study for promoting a more community-driven user experience. 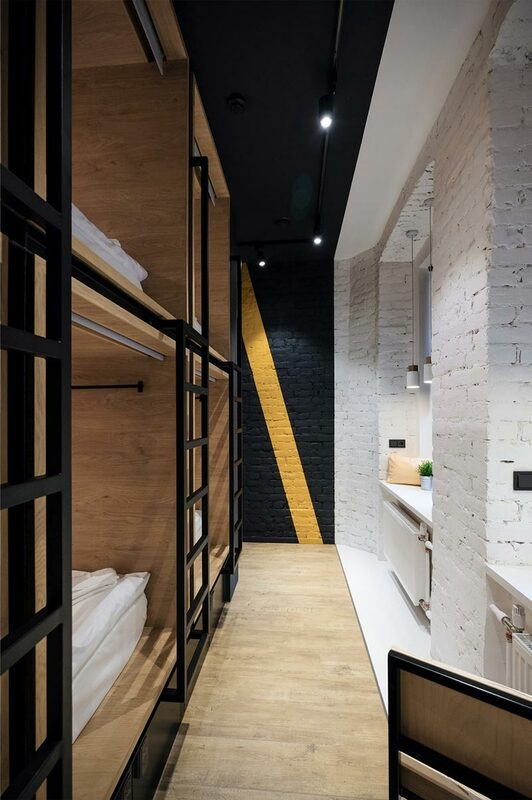 It’s a very European idea to stay in hostels that provide shared amenities, so getting to know your neighbors becomes an exercise in survival that leads to a specific type of travel experience. 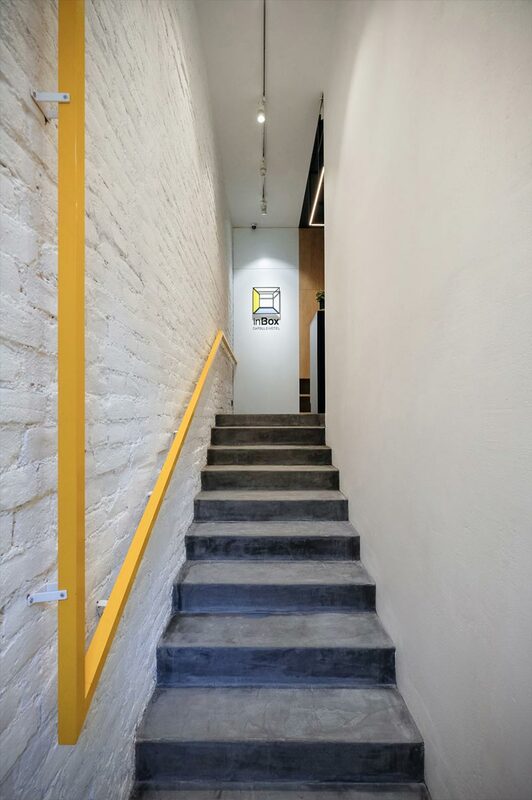 However, most hostels are a far cry from the level of interior design ingenuity found at the InBox. The kitchen area is bright and clean, with panels of wood wrapping the walls and floor before being broken by the stark white cabinets and appliances. 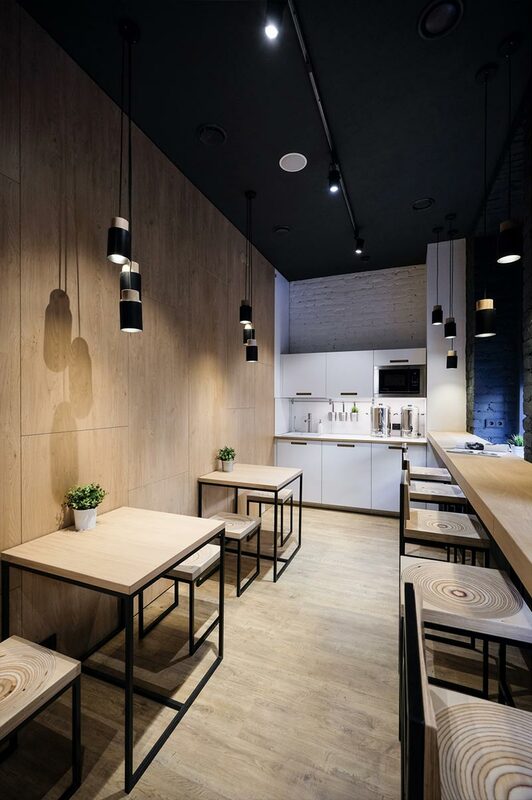 A series of tables and chairs are organized around a shared dining area where guests can share their stories over a boiling pot of goulash. 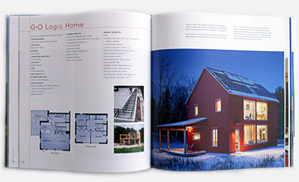 The InBox is an idea that DA Architects hopes spreads across not just Russia, but the rest of the world as well. 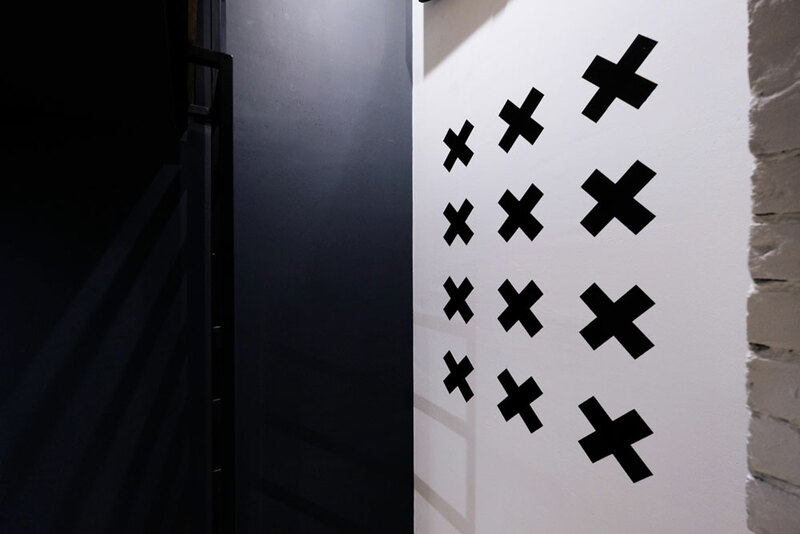 There is a market for this type of travel stay experience, and there are plenty of people looking for an upscale community-driven hotel environment. This could be the start of something truly wonderful.